Will Neely Spence Gracey stomp many of the foreigners at Boston? Is it Unethical to Run in Nike Products? 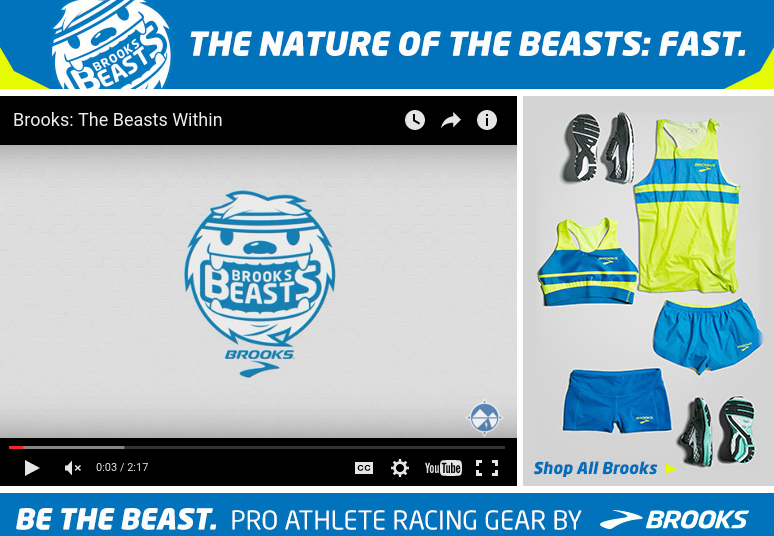 Which Major Running Company is the Most Ethical? have you ever been attacked by an animal on a run? I saw a license plate from Hawaii. Where does this rank in once in a lifetime experiences? Boston - I goofed up - chafing already 11 hours to recover skin? Whats a tougher double? 800-3200 or 3200-800? IT'S ON! Lashawn Merrit runs 19.78 wind legal! 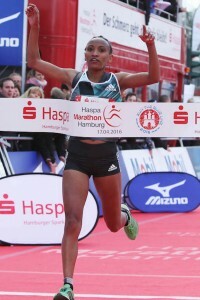 LRC Ethiopia’s Atsede Baysa Storms from Behind to Win Boston Marathon in 2:29:19 After Leaders Blow It With a 5:00 16th Mile (updated with interviews with Neely and Steve Magness) dramatic come from behind victory for Ethiopia’s Atsede Baysa as Neely Spence Gracey was 9th. 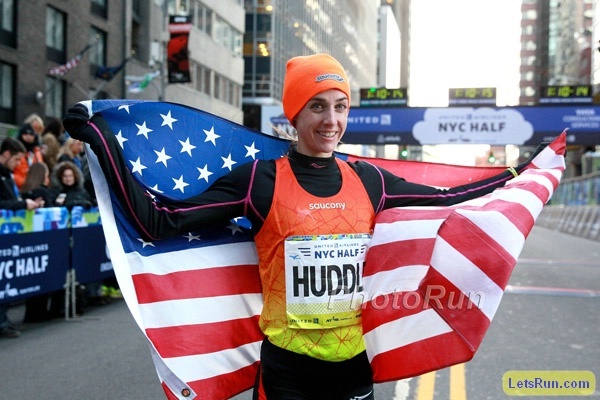 LRC Molly Huddle (15:14) Wins Third Straight B.A.A. 5K Title; Dejen Gebremeskel (13:39) Takes Down Ben True (13:41) In Men’s Race Both of the American stars will be running the 5,000 at the Pre Classic. LRC Chris O’Hare (4:10.2) And Brook Handler (4:49.6) Win 2016 B.A.A. Invitational Miles Kemoy Campbell and Heather Kampf were the runners-up (Kampf for the third straight year). Are We Still Talking About This? 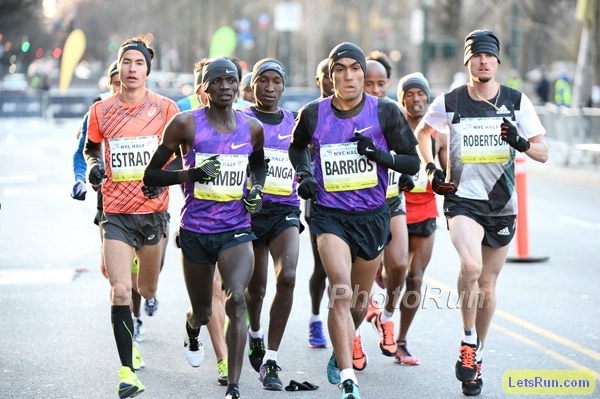 Boston Globe Asks “Is A Two-Hour Marathon Time Possible?” Lelisa Desisa, Meb Keflezighi, Ryan Hall, Wesley Korir and Ross Tucker all weigh in. Hall thinks someone could do it on a treadmill. 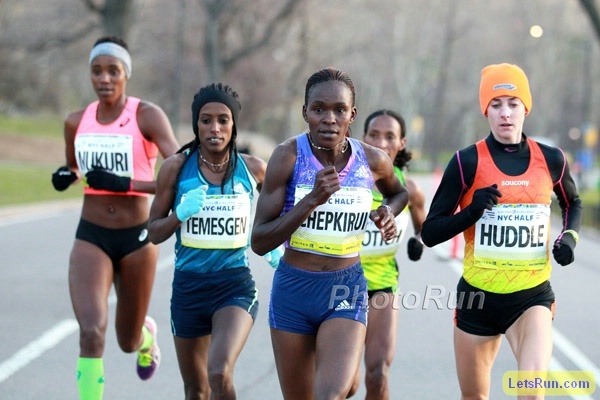 AP: Boston Celebrates 50 Years Of Women In The Race The difference that 50 years can make is evident in the contrasting quotes/experiences from Joan Benoit Samuelson and Bobbi Gibb vs. Shalane Flanagan and Desi Linden. Fast Sprint Action At Chris Brown Invy: Kirani James Runs World-Leading 44.36 James won over US’s Tony McQuay (45.34) and Jeremy Wariner (45.55). Other world leads included Shaunae Miller in the 400 (49.69) and Johnny Dutch in the 400H (48.36). Justin Gatlin ran a wind-aided 9.90 in the 100 while Queen Harrison and David Oliver won the sprint hurdles. Paula Radcliffe And Jo Pavey Join Calls To Reverse Council Decision To Charge Runners 40,000 have signed the petition urging the park not to charge the 300 runners £1 each to use the park each Saturday. World Leader In 100m – 9.96 Man Akani Simbine – Beaten At South African Champs By Henricho Bruintjies Simbine may be injured as it was cold and there were 3 races in 1 day but Bruintjies did run 9.97 last year. Rio 2016 Golf Venue Will Have Animal Handlers To Carry Alligators Off The Course They will also be there to chase off capybaras, the world’s largest rodents. Rio 2016 Olympic Schedule With Day-By-Day Highlights Opening ceremonies are August 5th; track starts on August 12th. Budapest 2024 Chairman Dismisses Claims The City Is An “Outsider” And Defends Delay In Official Launch Budapest is definitely “different” when compared to LA, Paris and Rome and is considered the least likely to win the bid. 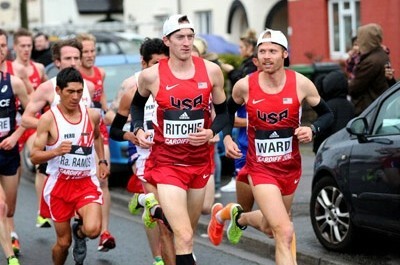 LRC What’s It Like Being The Husband Of A Potential American Marathon Star? We Talk To Dillon Gracey Before Neely Spence Gracey’s Debut In Boston Dillon Gracey tied for 3rd in our $20,016 LRC Running Warehouse USA Indoor Prediction Contest. We used that as an excuse to talk about Neely’s debut in Boston and being the husband of an American star. Neely Spence Gracey Ready For Boston “Training has been great and she’s healthy and ready to go.” From the interview above. LRC Two Aspiring Coaches Triumphed In Our Running Warehouse USA Indoors Prediction Contest We give props to two of the guys who finished ahead of Dillon in the LRC Running Warehouse Prediction Contest. 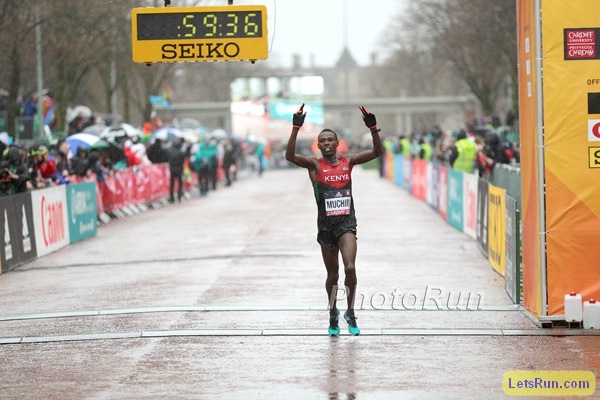 LRC: Lemi Berhanu Hayle Drops The Hammer On Lelisa Desisa To Get His First World Marathon Major Win (Updated with interviews) Desisa broke the race open after 25K and made it a two-man duel between he and Berhanu. 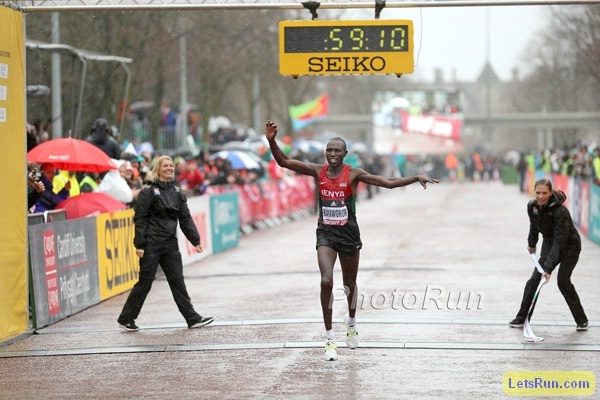 But in the end, Berhanu was way better as he crushed Desisa over the final mile to win in 2:12:45 to Desisa’s 2:13:32. 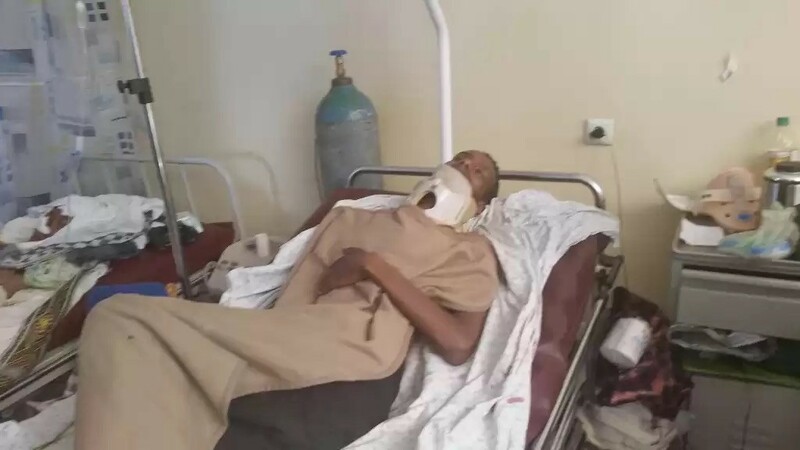 Yemane Tsegay made it an Ethiopian sweep as he held off former champ Wesley Korir for 3rd. Just how bad was the weather for Boston 2016? 90+% of my acquaintances tanked. 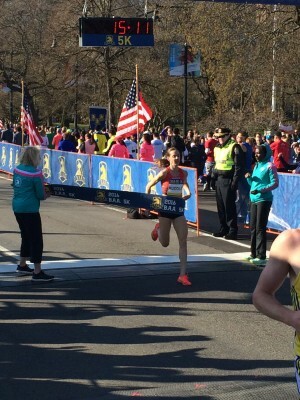 Boston – I goofed up – chafing already 11 hours to recover skin? Former NCAA Champ Ameer Webb Has Career Day With Impressive 100/200 Double First he beat Andre De Grasse with a wind-aided 9.90 seconds and came back with a wind-legal 19.91. Other sprint action included Allyson Felix splitting a 48.9 leg on the 4 x 400. IAAF Recap: Canada’s Johnathan Cabral Runs 110H World Lead Of 13.35 Ashton Eaton was 4th in the 110H after coming back from winning the LJ. 800: Laura Roesler Over Kaela Edwards And Raevyn Rogers; Duane Solomon Over Eliud Rutto Roesler won in 2:01.54 to hold off the NCAA indoor mile and 800 champs. 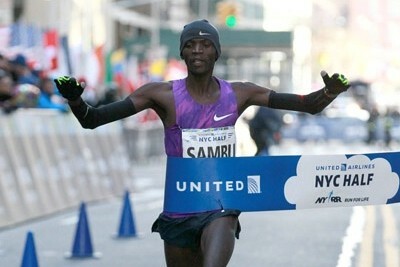 Solomon ran 1:45.47 to beat NCAA runner-up Rutto (1:45.59). Oregon Women Run Third Fastest Women’s 4 X 100 In NCAA History At Mt. SAC With 42.68 In the individual sprints, pro Jenna Prandini ran 10.95 with Oregon’s Hannah Cunliffe 2nd in 10.99. Michigan’s Cindy Ofili Wins 100H In 12.66 The time moves Ofili, sister of GB Olympian Tiffany Porter, to second-fastest in the World this year. *Tamagno wins BIG in 4.03 2nd place – 4:09. Great Oaks HS broke their own 4 x 1,600 NR with 16:52. *Mt. SAC – Where are the crowds? 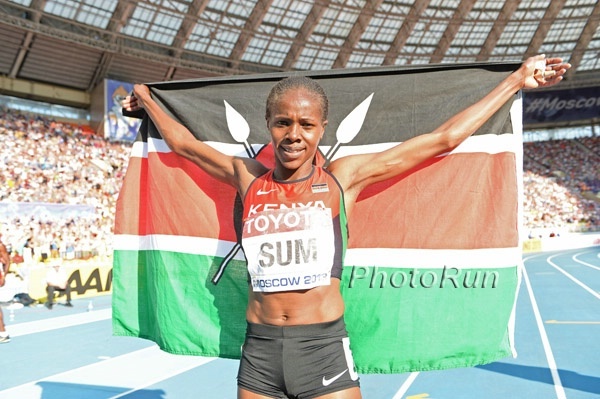 Eunice Sum, Kipyegon Bett And Timothy Cheruiyot Highlight Mid-D Action At Athletics Kenya Meet Sum won the 800 in 2:03.2 as Bett ran 1:46.3 and Cheruiyot 3:36.8 in the 1,500. 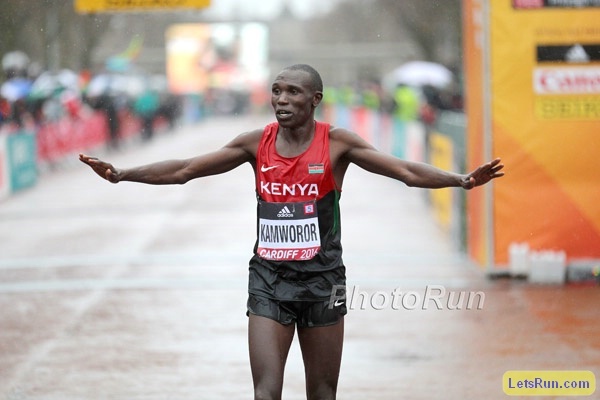 Conseslus Kipruto won his heat of the 5K in 13:47. Asbel Kiprop Threw Down A 1:44.6 In The 800 Heats Silas Kiplagat also won his heat in 1:47.4, but didn’t run the final. Jarius Birech Says He Will Go For The Steeplechase World Record At The Rome DL Meet On June 2nd Birech continued his steeple prep by running and winning the 10K in 28:35 at this weekend’s AK Series meet. “YouTube Man” Julius Yego Starts His Season Of With A 78.86m Javelin Victory In Kenya 400H world champ Nicholas Bett opened his season with a 400H win in 49.6. LRC The Inside Scoop From The Top Pros At The 2016 Boston Marathon – Who’s Scared Of The Heat, Who Loves It And What American Hopes To Break 2:10 You had better read this article about what the top pros have to say about the race as we know that sadly no other news organization is going to interview most of the pros from Africa. 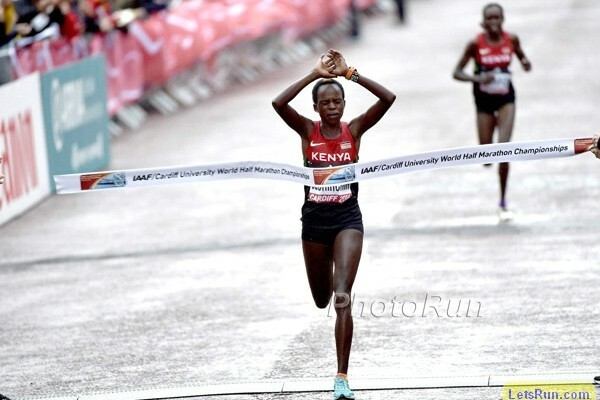 Plus Joyce Chepkirui reveals in an exclusive that she feels she would have won the 2016 United Airlines NYC Half Marathon had Molly Huddle not made contact with her. LRC Catching Up With Olympians Amy Cragg, Desi Linden And Ryan Hall In Boston John Hancock rolled out the red carpet for some of America’s best marathoners, past and present, and we got to talk to three of them today. Cragg and Linden talked about their Trials recovery and Rio buildups while Hall spoke about what life is like with four young girls in the house and coaching his wife Sara as she prepares to run the London Marathon next week. LRC 2012 Boston Marathon Champion – And Kenyan Member Of Parliament – Wesley Korir Says Kenya Is On Track To Meet May 2 WADA Deadline Korir says the risk/reward ratio for doping needs to be changed in Kenya and has asked WADA for special permission to allow Kenya to criminalize doping (the WADA code says countries can’t impose additional penalties on top of those established by WADA). Judge Hears USOC Motion To Toss Out Nick Symmonds’/Run Gum’s Lawsuit The judge is expected to decide in the next 2 weeks whether the suit moves forward or not. CAS Rules That Russian Doper Tatyana Andrianova Can Keep Her 2005 World 800 Bronze After Testing Positive For Steroids In A Sample Re-Analysis The IAAF misinterpreted the recent statute of limitations rule change as it is 10 years moving forward, but still only 8 years for previous tests. This means that potentially 28 dopers caught in 2005 re-tests will now go free. Eight Russians Have Their Suspensions Lifted After New WADA Ruling On Meldonium Includes track athletes Nadezhda Kotlyarova, Olga Vovk, Gulshat Fazletdinova and Andrei Minzhulin. Ukraine’s World Indoor Pentathlon Silver Medalist Anastasiya Mokhnyuk Tests Positive For Meldonium But will it even matter? Track-Stats.com Looks At Which Countries Would Benefit Most If Russia Isn’t In Rio With a cool interactive graph, you can see that the US would benefit most without Russia there, and even more if Kenya was also banned. LRC WTW: Dennis Mitchell And USATF, Shaq Goes 1:44.99, Nick Symmonds 2.0?, Hurdle Stars Keni Harrison And Devon Allen, Meet The Lyles Brothers, And The Indoor Marathon We recap the week that was from the track, the boardroom, the bedroom, and even the indoor marathon. LRC “The Scarlet Letter Law” & The “Fair Play Fund”: A Look At Ben True’s & Adam Nelson’s Ideas For A Cleaner Sport Dartmouth alums True and Nelson brainstormed a couple of unique anti-doping solutions while True was training in Athens, Ga. this winter. 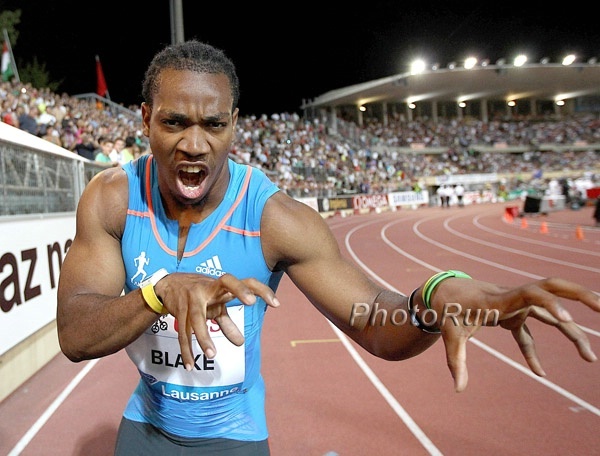 Should convicted dopers where a special uniform when they return? Should a significant portion of prize money only be paid out years after the fact? We take a look at the proposals and whether Nelson can revitalize the Track and Field Athletes Association (TFAA), an attempt at a T&F union. High Schooler Katie Rainsberger Gets Huge 1,500 Win At Oregon Relays With 4:17.52 She ran the 12th-fastest time ever by a high school girl to beat a competitive field that included pros Geena Gall and Maggie Vessey. 5K winners were Alexi Pappas (15:33) over Tara Welling and NOP’s Suguru Osako (13:55) over Luc Bruchet and Jordan McNamara. *MB: Sarah Baxter Makes Collegiate Debut Baxter continued her comeback from injury by running 4:36 for 17th in the 1,500. Devon Allen Has Another Impressive Quadruple, Winning 110H, 400H, 200 And 4 X 100 His quadruple included a 13.48 MR in the 110H and a PR in the 200. MB: Hand her the gold medal(s) now – Caster Semenya completes ridiculous 50.76/1:58.46/4:10 double in span of 50 minutes triple in span of 4:10 The double – during which she had 50 minutes between the 400 and 800 (which was run off of a 61 first lap) – blew us away. Then we found out she was also running the 1,500. 3:20 later, the triple was complete. *IAAF Recap: World Champ Wayde van Niekerk Cruises To 400 Win In 44.98 Stephen Mokoka had a solid distance double, winning the 5K/10K double in 13:40 and 27:57. Ruswahl Samaai had a big LJ win in 8.34m. 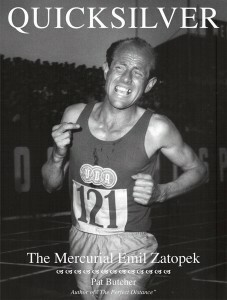 Great News: A New Book On Emil Zatopek – QUICKSILVER – The Mercurial Emil Zátopek – Is Coming Out In 3 Months You can listen to Butcher talk about Zatopek on radio here. Boris Berian Reveals He Became An 800 World Champ As His HS Coach Threw Him In A 4 X 800 As A Junior And He Loved It He says the 800 is way easier than the 400. Russia Acts Swiftly And Lifts 8 Athletes’ Meldonium Suspensions The country of Georgia acts quickly as well – freeing 6 wrestlers. Vashti Cunningham Talks Ahead Of Making Her Pro Debut At Mt. SAC She broke the HS record here last year. Greg Rutherford Using DNA Profile To Keep Him One Jump Ahead In Rio The DNA test reportedly helps him form the optimal diet/training for his genes. May 14th: US’s 2015 World Leader Jeffrey Henderson And Australia’s World Silver Medalist Fabrice Lapierre Face Quartet Of Chinese LJers In Shanghai DL The home jumpers will be led by World junior champion Wang Jianan. August 25: Renaud Lavillenie Will Make His 8th Straight Appearance At The Lausanne DL Meet Lavillenie, who lives a few hours from the stadium, has won this meet in 2010, 2011, 2012 and 2014. Recommended Read: Marathon Cheating More Prevalent Than You Think – Investigation Reveals At Least 47 Runners Cheated Their Way Into The 2015 Boston Marathon Inspired by the Mike Rossi story, a runner and “math geek” named Derek Murphy started a blog and Facebook group dedicated to catching race cheaters, and using a special algorithm, race photos and results sites, he found a bunch. Canada’s National Post Leads Story On Race Cheating With Quote From LetsRun.com Co-Founder Robert Johnson Rojo says he won’t be offering a $200,000 challenge to the Canadian triathlon cheater. Defending Champ Lelisa Desisa Looking For His Third Win In Boston After running an impressive five marathons in 1 year (NYC, Dubai, Boston, Beijing, NYC), he realized he needs to scale back and only focus on two a year. Roberta “Bobbi” Gibb, The First Woman To Run Boston, Sculpting Her Own Statue To Honor Her Historic Run The modest Gibb says she’s “really embarrassed doing a sculpture of myself” and would prefer to do a generic woman. LRC Exclusive One Week, Three Workouts: Behind The Scenes With Renato Canova, Florence Kiplagat, Thomas Longosiwa And Jairus Birech We have another exclusive update for you from Kenya and are worried that since we aren’t charging you to read this we might be charged with theft, as the intellectual property of one of the world’s greatest coaches is being given away for free. Oh well. His loss, your gain. 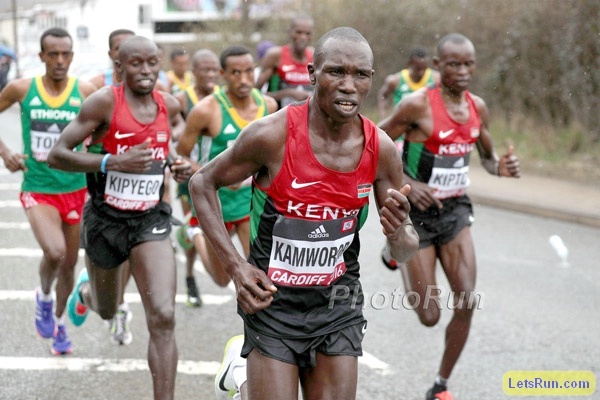 Our man on the ground in Kenya, Andy Arnold, goes behind the scenes and gives you the rep-by-rep splits of three of the world’s top distance runners as they prepare for Rio. Plus Birech makes an Olympic prediction that Evan Jager fans will want to read.